Have you ever travelled near a famous wine region but didn’t have time to visit? (With the exception of Vienna, Austria, vineyards aren’t generally found within city limits. So most winery trips require more than a simple urban drop-in.) I once visited Perth, Australia, but couldn’t make it to the Margaret River region, which was a shame. Similarly, I was in San Francisco for a quick trip recently but didn’t have time to get to Napa, Sonoma, or any other inspiring wine region in California. Little did I know, I was in for a brilliant wine surprise—a Chateau Montelena tasting room in the heart of San Francisco! In case you don’t know the story, here it is in brief. There was a big, fancy wine tasting in Paris in 1976. It was a promotional idea cooked up by a wine seller to pit uppity (OK, “historical”) French châteaux against their upstart California counterparts during the year of the American bicentennial. Everyone expected the French wines to prove far superior, of course. But surprise of surprises, the all-French panel of judges chose American wines as the best, giving Chateau Montelena the top Chardonnay award. So if you found yourself in northern California, it would be understandable to think of visiting this famous establishment. But going to Napa Valley from the city requires a significant commitment (arranging for transportation, braving Bay Area traffic, and missing out on the sights and sounds of the city for a day). Fortunately, Chateau Montelena provides an easy alternative. 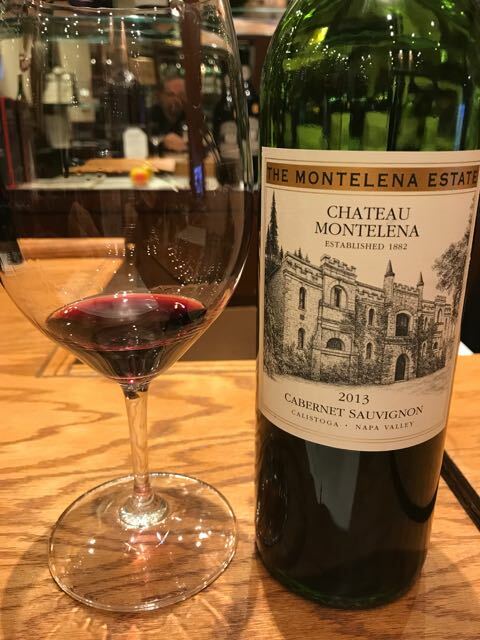 Just off Union Square in the heart of San Francisco, you can enjoy a Chateau Montelena tasting room in the lobby of the ever-tasteful Westin Saint Francis Hotel. Granted, this tasting room doesn’t have the same ambiance as the winery and vineyards, but it’s the exact same wines on pour with a full-fledged winery employee telling great stories and answering obscure questions along the way. Which, to me, was a really nice wine surprise! You can learn more here. Politics aside, the left is clearly the winning ticket here. There’s more to Montelena than amazing Chardonnay. We get to Napa and Sonoma as often as we can. And we love a good wine surprise. Have one to share? Email us!